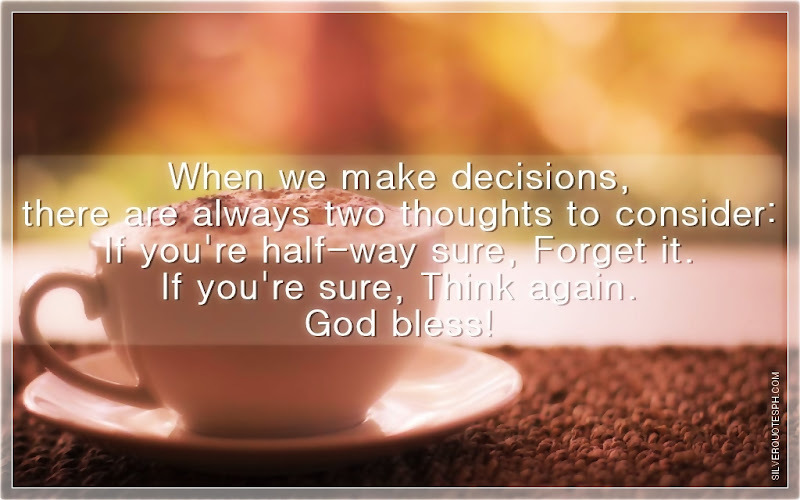 When we make decisions, there are always two thoughts to consider: If you're half-way sure, Forget it. If you're sure, Think again. God bless!